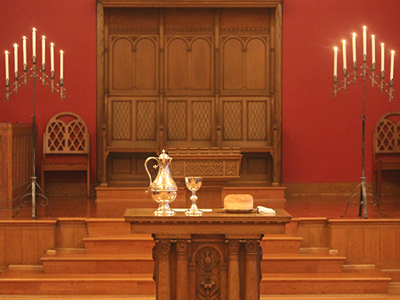 From September through April, midweek vespers occur on Wednesdays at 7:00 p.m. These thirty-minute candlelight worship services, which include Communion, offer a more intimate worship experience in the midst of our hectic lives. Childcare is available.